The Westin has informed Arisia that all guest room floors will be renovated over the course of this winter, including three floors during Arisia 2018. This will significantly reduce the number of rooms available in the main hotel during the convention. We are working with the Westin to maximize the number of available rooms at the main hotel, but some reservations will need to move to the Aloft, our overflow hotel located 0.2 miles down the street. Suite and access room reservations will not be moved. We have asked Arisia staff members to volunteer to move their reservations from the Westin to the Aloft first, and are putting out a general call for volunteers to transfer their rooms. We want enough volunteers to minimize the impact on our attendees for whom a transfer would cause undue hardship. The deadline to volunteer is November 30th and emails to those individuals whose reservations are being transferred to the Aloft will be going out on December 5th. If you volunteer to move, or your reservation is transferred, no deposit will be taken. If you continue to hold a reservation at the Westin, the deposit will be collected on December 15th. If you need to cancel your reservation entirely you must do so by December 9th in order not to pay the deposit. This page has instructions for parents, answers to the most common questions, and a form to fill out that will make getting your Turtle set up much quicker at the convention. Turtle Track questions should go to @email. Each contest has its own rules and deadlines - check the linked pages for details and submission forms. All contests offer cash prizes, possible matching prizes for winners' schools, and free memberships to the Arisia convention. 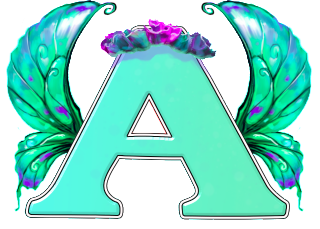 Contests are sponsored by Arisia, Inc, the 501(c)(3) nonprofit corporation that is the parent organizer of each year's Arisia convention. Email @email with the code that you will get on the thank you page at survey completion. The survey can be completed anonymously and you can still enter the raffle - the survey code is not tied to any particular set of answers. Help us make Arisia even better! Arisia's Art Show will once again bring you dozens of favorites and new artists to wow you with their creativity and style. To give you an early taste of what's coming up, the Art Show Online Catalog is now available. Arisia tries to mix up the familiar with the new and this year's dances will feature some new DJs as well as some returning favorites. Our new spin masters go by the moniker KNTRL and they mix the best techno, house, and electronic music from classics to the hits of tomorrow. Their goal is to provide an environment centered around the people and to provide a positive atmosphere that is both friendly and welcoming to all. They want you to come join their musical family and enjoy the nights with some of the best music, friends, and vibes around. Shannon Watters is the founding editor of her own imprint Boom! Box, a part of Boom! Studios. With the explosion of Boom! onto the comics scene, Shannon has been leading the charge on queer, feminist, kid-friendly comics. As noted in an industry press interview earlier this year, it's incredibly rare for a comic book imprint to last as long as Shannon's Boom! Box. And it's to her credit that they are not only greatly successful, but have managed to stay true to their original vision going on four years now. After launching with titles such as Midas Touch and Lumberjanes (a Shannon co-creation), her imprint is still going strong with recent titles Coady and the Creepies, Misfit City, Giant Days, and Slam! Several of these titles also include local Boston creators. On breakout success Lumberjanes, EW quoted Shannon this past spring: "Can you imagine having a single-issue original comic book running for almost four years? Especially one fronted primarily by queer people and ladies, and with a cast that is primarily ladies. It’s really, really cool. It’s amazing to have an all-ages comic that has touched so many people the way that this one has..."
Shannon's clear eye for character-driven stories in diverse genres has led to a deep catalog of amazing comics in just a few years. At Arisia, we honor her achievements and look forward to many more!